Looking for a classic fit-and-flare wedding dress? 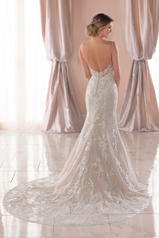 Bridal designer Stella York has created a pearl-finished lace and tulle gown that is totally swoon-worthy. 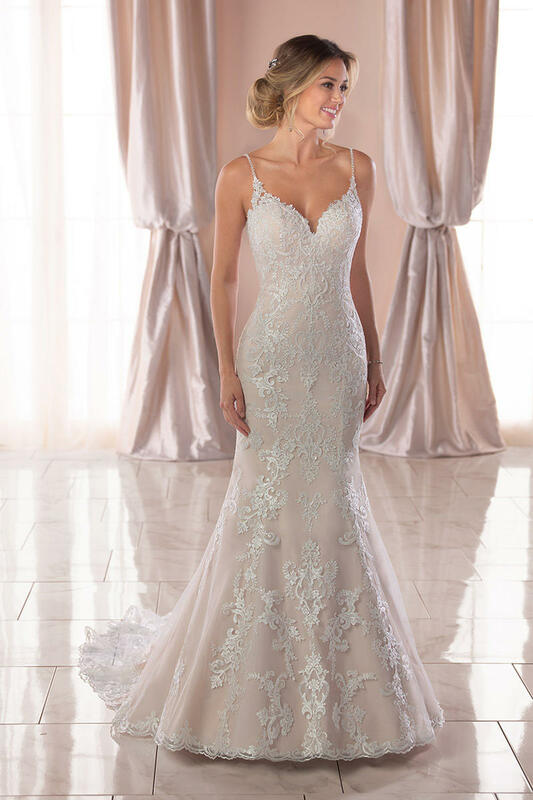 Extra beading around the neckline highlights the micro beaded straps and slightly plunged V-neckline. Pearls have been hand-sewn into the dress for a subtly shimmery effect that brides will adore. There is an airy finish on the train, as it has been laser cut to highlight the intricacies of the lace pattern. A sheer, open back has an illusion lace detail, making this classic fit-and-flare very on-trend for today's modern bride.